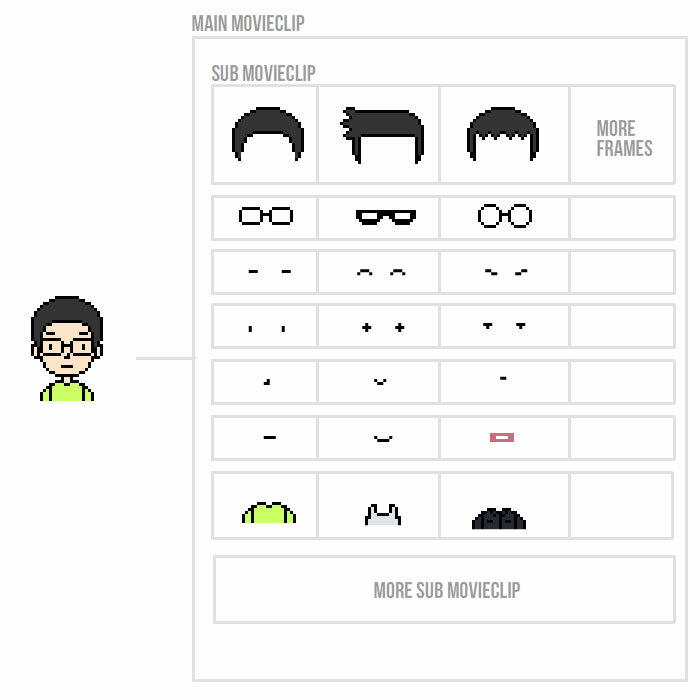 Did this simple flash tools to make your own pixel avatar during 2013, which can be use as your social media profile pic. Below are some quick possibilities of what you can do with this editor. In my case, the file size is quite small and I am doing this all by myself, so I just did all the graphics in one SWF. You could probably did a function to load graphics from external swf/jpg/gif. You probably will also want to further divide the graphic into more section, as tinting a MovieClip, will change the whole clip color. To export image from ActionScript. Download and install AS3CoreLib. Then you can use the following script to export image. 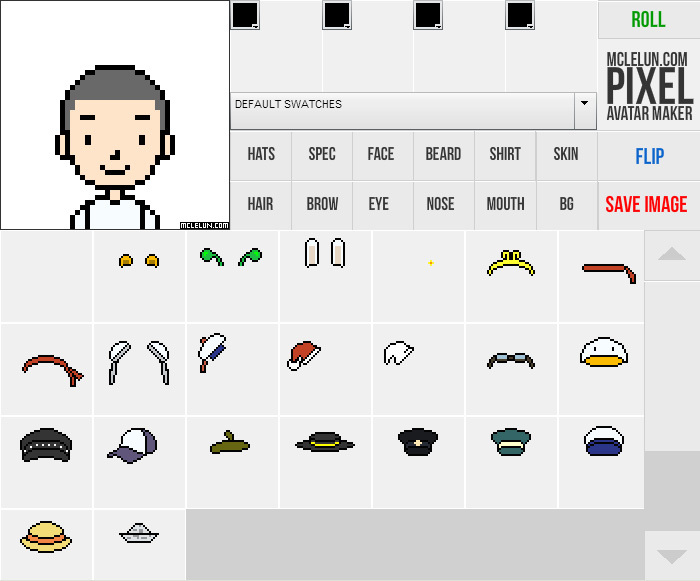 You can try to pixel avatar maker in my deviantart. This is develop with Flash AS3, so you might not be able to view with your mobile phone.